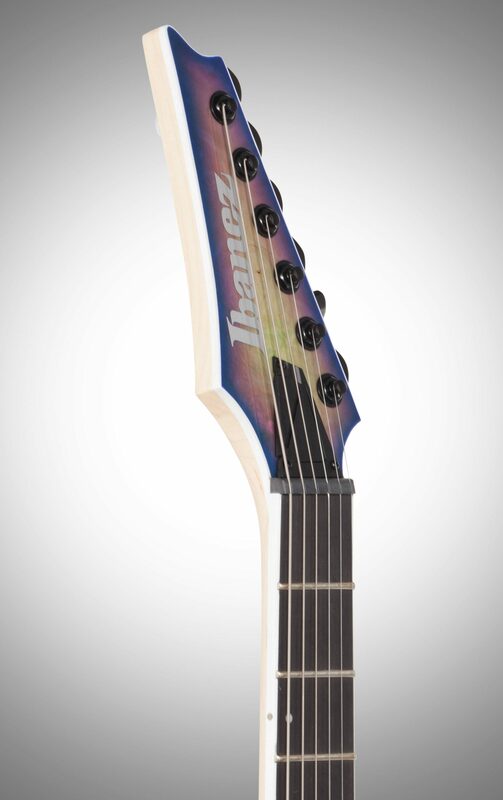 As the legion of converts to the "made-for-metal" Iron Label series continues to grow, Ibanez continues to tap the seismic underworld for inspiration. 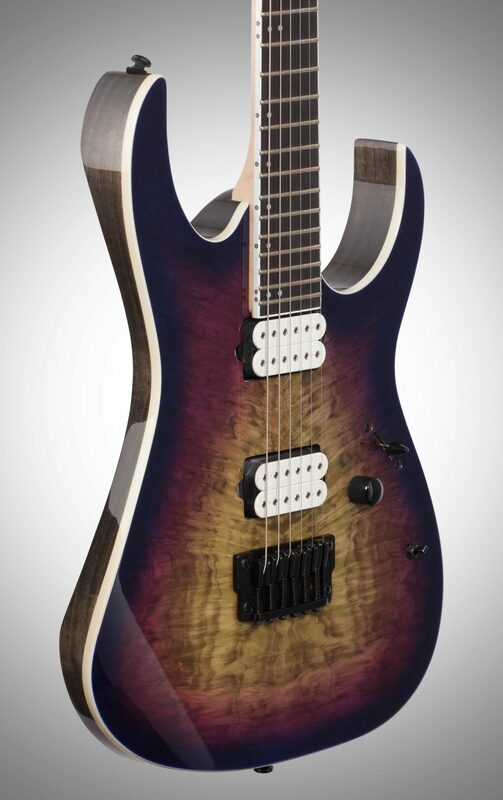 Working their famous RG from the chassis up, Ibanez speaks to the flash and fury of the frantic shredder with the RGIX6FDLB. 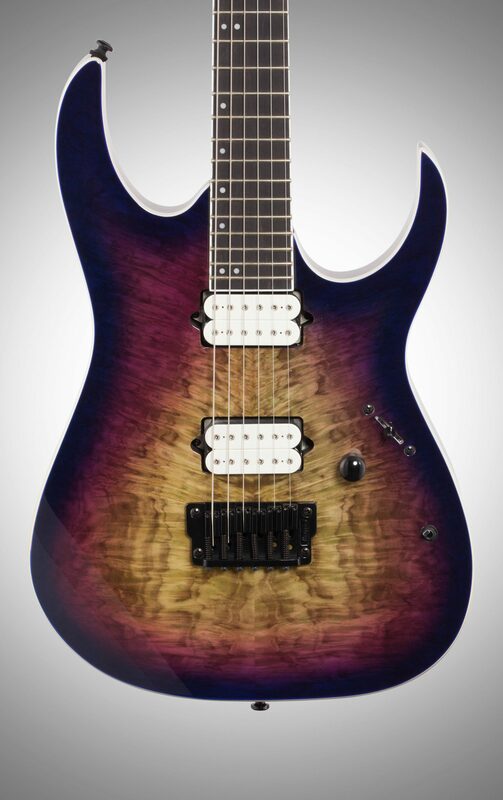 The RGIX6FDLB features a Laurel Burl top in a stunning new Northern Lights Burst finish with a black stained ash body, giving the model an exotic appearance and an almost otherworldly color scheme. 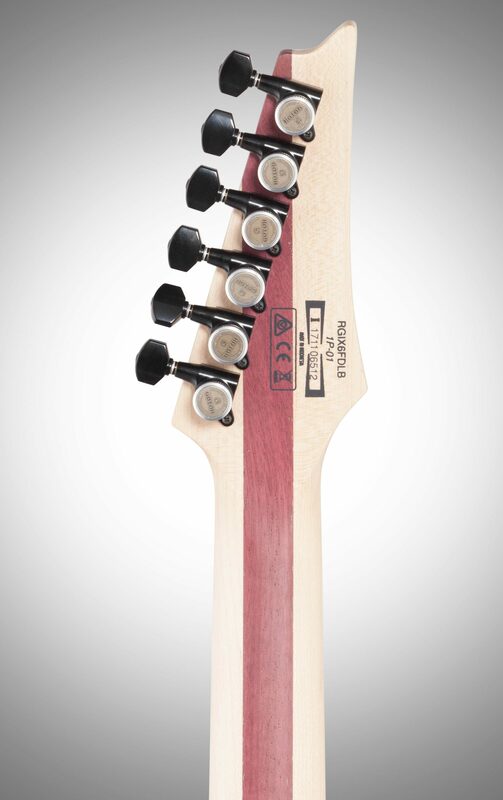 A reverse headstock adds another element of visual distinction. 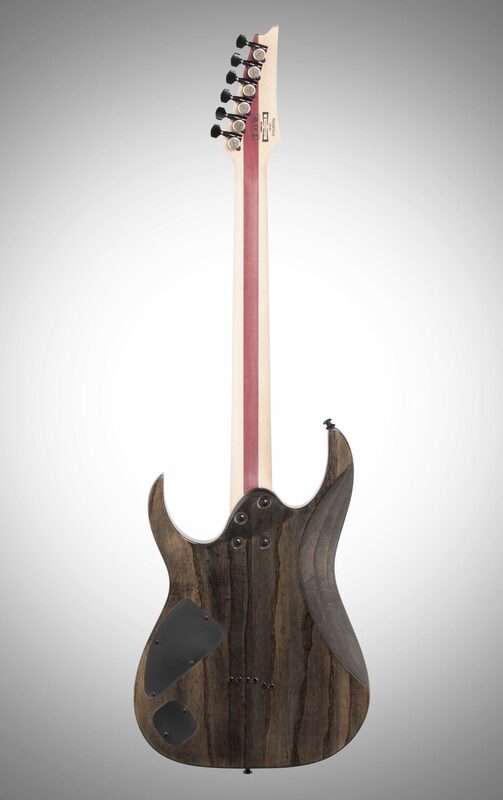 The neck is constructed using a combination of maple and purpleheart topped off with an ebony fingerboard. Luminescent side dots are provided on the neck for increased visibility in darker playing environments. 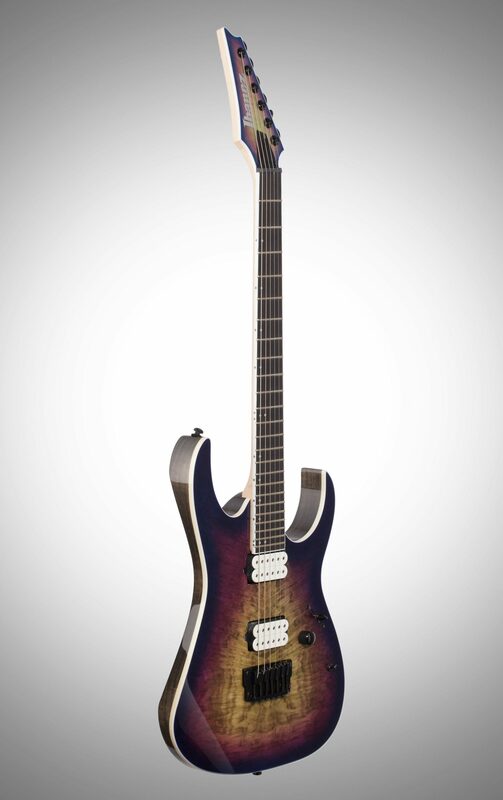 The guitar comes with DiMarzio Fusion Edge pickups, which were the result of a direct collaboration between DiMarzio and Ibanez. They provide great clarity and a very smooth response, satisfying the current demands of players in today's progressive metal scene. 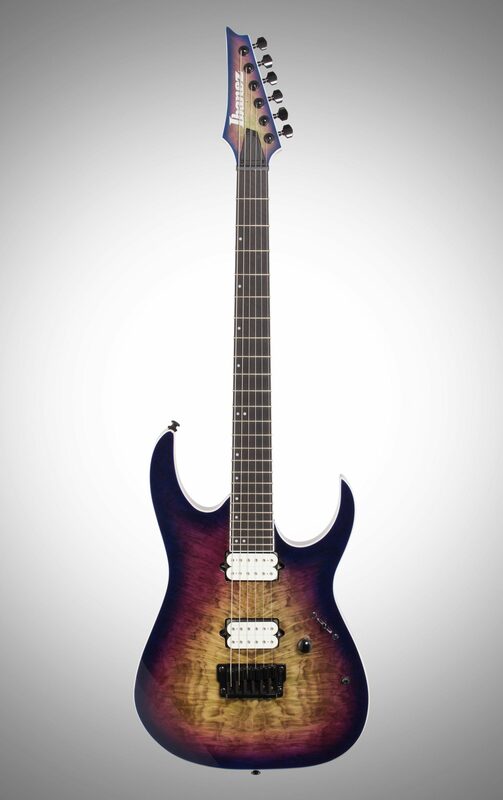 The pickups also include a coil tap option for an expanded array of sounds. The Gibraltar Standard II bridge provides the optimal transfer of each string's vibration to the body. Gotoh locking machine heads help provide superior tuning stability and expedite string changes. Style of Music: Shredder instrumental music, blues, heavy metal, etc.